This FamilySearch database includes 103 people who had GREECE recorded as their birthplace in the 1892 New York State Census. I have listed their names below for your review. Not every county that was enumerated is currently included in this collection. This census does not cover the entire population of the state of New York. Some of the modern-day counties did not exist in New York State in 1892. New York City organized its five boroughs six years later in 1898. New York created Nassau County that same year. 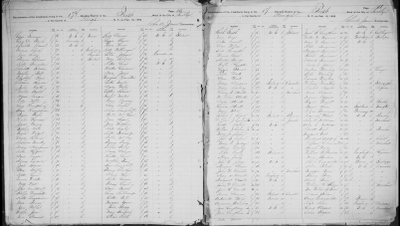 You can view further information on these records at this FamilySearch.org link. Mary A. Shearer - b. 1836 / 1837 ?